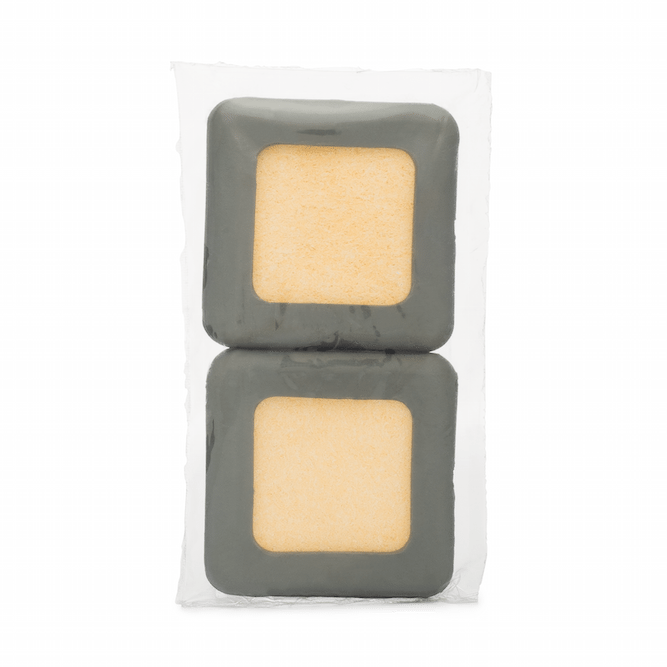 These Professional 2×2″ Amrex Sponge electrodes are made from high-quality materials and are plastic sealed after assembly. The smaller 2×2″ Sponge Electrodes have a smaller surface area, allowing for more precise targeting. This is the smallest recommended electrode size for use with tDCS. Note: Amrex Electrode Cables, are required to use these electrodes with The Brain Stimulator v3.0 and The Travel Model v2.0, or Amrex Adapters for our older products. Amrex Sponge Electrodes are arguably the best sponge electrodes on the market, and are preferred by many tDCS enthusiasts. Amrex Electrodes are comprised of a cellulose sponge with a stainless steel metal mesh backing, all enclosed within a thick, rigid, rubber casing. Only the highest-quality materials are used, and these electrodes are the industry standard for sponge stimulation. To use these electrodes with The Brain Stimulator v3.0 and The Travel Model v2.0 Sponge Electrode Cables are required. You may consider adding replacement sponge inserts to your order. Through real-world testing, we recommend replacing the sponge inserts every two weeks (or every 14 uses). We sell 10-packs of Amrex replacement sponges so you will have plenty of extras on hand when your original one’s need replacing. Over time, the sponges within Amrex electrodes can grow brittle and crumble, crack, or split causing an uneven distribution of current. Worn-out sponges can create an uncomfortable tDCS session, with increased tingling, itching, and sometimes stinging sensations occurring.